In nowadays busy world we have very litle time for a complex skin care. Face mask? Sometimes we’d rather spend that time with our nearest and dearest, read a book or simply drink a cup of coffee. Our skin does not want to be treated like that. It’s not so firm anymore. Sometimes it is enough to spend just 2 – 3 minutes a day to have excellent results. All that is possile thanks to the tiny pulse face masssager which has been brought out by Switzerland company DermoFuture. This small device for a face massage, which head is almost completely covered with 24 carate gold, can do wonders. Massage with this ‘gold’ device is very good for tired and flabby skin which has a broken cell structure – namely that is ageing. 2-3 minute massage every day will make your skin look younger, improve face contours and reduce wrinkles as well as stimulate muscles and blood circulation. You can massage skin around the eyes-thus fighting wrinkles in the most sensitive parts of your face. The massager has T shape and is vey small and handy. Thanks to its small size it is possible to take it with you everywhere you go. 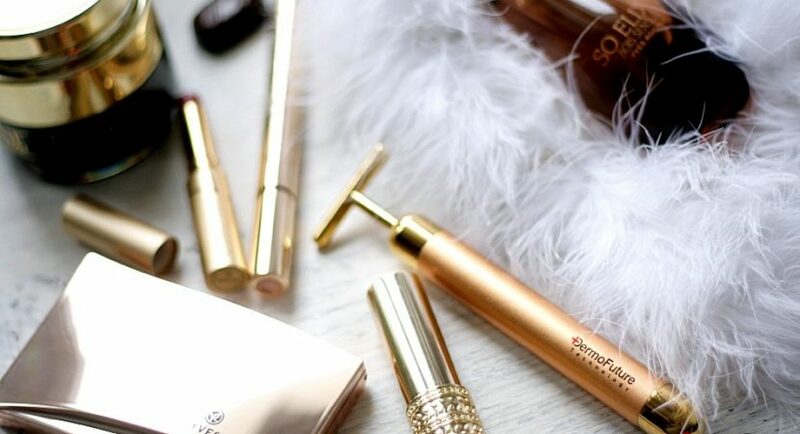 DermoFuture didn’t forget about aesthetics of the device, which may be crucial to those who pay attention to the design of cosmetics and accessories as well as to their effectiveness. During the massage theraphy the head of the device releases gold ions. These, in turn, stimulate collagen production in your skin and control its bioelectric balance. So, you can achieve spectacular effects of skin rejuvenation in a very short time. Skin cells will start regenerating and their metabolism will speed up. Face oval is lifted and blood circulates better providing all the cellls with oxygen. Wrinkles are reduced and skin is much more felxible and firm. So, your face is more firm and you look even several years younger. Time is a precius commodity. Let’s not waste it on long care therapies and trust Swiss precision of DermoFuture. Worrying about your skin condition will be a matter of past with DermoFuture.